Dietrich Bonhoeffer May Have Laughed During the Speech of the Newly Elected Reich Bishop Ludwig Muller! …Muller proclaimed in his speech that the church struggle was over. At this point, it is said, a snort of laughter was heard from the castle church gallery where Bonhoeffer was standing discreetly. (Ferdinand Schlingensiepen, Dietrich Bonhoeffer 1906-1945: Martyr, Thinker, Man of Resistance, 141). DIETRICH BONHOEFFER penned this poem during his last days, knowing that his death at the hands of the German SS was imminent. He awoke early on the morning of April 9, 1945, inside the walls of Flossenbürg concentration camp, well aware of the fate which awaited him. Guards marched to his cell and ordered him to remove his prison garb in one final attempt at humiliation.As SS officers mocked him on his walk to the gallows, Bonhoeffer remained committed to the convictions for which he was about to die. Dietrich Bonhoeffer was hanged as a traitor to his country, but loyal to the beliefs he held sacred. An SS doctor who witnessed Bonhoeffer’s execution wrote, “I was most deeply moved by the way this loveable man prayed, so devout and so certain that God heard his prayer…. He climbed to the steps of the gallows, brave and composed…I have hardly ever seen a man die so entirely submissive to the will of God.”Bonhoeffer took a courageous stand against the madness of the German government, and paid the ultimate price for doing so—death. If the Church is to walk worthily of the gospel, part of its duty will be to maintain ecclesiastical discipline. Sanctification means driving out the world from the Church as well as separating the Church from the world. What a sharp contrast in theologies! (Ferdinand Schlingensiepen, Dietrich Bonhoeffer 1906-1945: Martyr, Thinker, Man of Resistance, 140-141). The Bad Theology of the German Nazi “Christians”! Lutheran dogmatists Paul Althaus and Werner Elert from Erlangen…declared that the volkisch diversity of external church organization’ expressed ‘a necessary consequence of the the divisions of the peoples which are to be affirmed in terms of destiny as well as ethics’ and thus had to be taken into account ‘in admission to the ministry of the church’. For the Church’s new task ‘of being a Volkskirche of the Germans’, in the present situation, ‘the occupation of its ministry by persons of Jewish origin generally would be a severe burden and a hindrance’. Therefore the Church must ‘require the withholding of its Jewish Christians from office’. That with these words the two professors were, retrospectively, calling for Jesus, the Apostles and New Testament authors to be ‘withheld’ from the German Evangelical Church, does not seem to have entered their minds! (Ferdinand Schlingensiepen, Dietrich Bonhoeffer 1906-1945: Martyr, Thinker, Man of Resistance, 139-140). …the Confessing Church was built from the beginning on cooperation among many pastors and members of local churches. The members of the Emergency League were, first of all, to commit themselves anew to the Scriptures and Confessions; secondly, resist any violation of these; third, to give financial help to those affected by Nazi laws or by violence; and fourth, to reject the Aryan paragraph. In a very short time as many as 2000 pastors signed up to the commitments of the Emergency League. By the end of the year (1933) their number had grown to 6000, and was still to grow by a further thousand. (Ferdinand Schlingensiepen, Dietrich Bonhoeffer 1906-1945: Martyr, Thinker, Man of Resistance, 137-138). 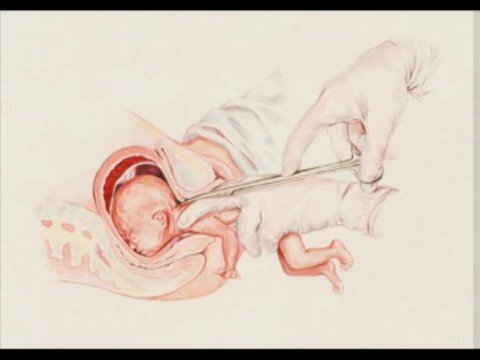 A Great Reminder Why Christians Must Be Pro-Life! Our aim, by the power of the Holy Spirit, in the name of Jesus Christ, through the authority of his word, is to glorify God by making much of his image in the unborn, and his mercy in forgiving sinners. We would like to give you a free eBook based on three sermons I preached on abortion. We hope it helps you speak out. Please feel free to download it, print it, copy it, and share it with as many people as you like. God is calling passive, inactive Christians today to engage our minds and hearts and hands in exposing the barren works of darkness. To be the conscience of our culture. To be the light of the world. To live in the great reality of being loved by God and adopted by God and forgiven by Christ (yes—for all the abortions that dozens of you have had), and be made children of the light. I call you to walk as children of light.